“The latest ECDriveS® order for SEW-EURODRIVE follows a demonstration project involving two small conveyors, with one over a production line to move small components around the assembly area,” explains SEW sales representative, Willem Strydom. “The automotive manufacturer was so impressed with this initial foray that it has now embarked on a massive seven conveyor, 40 accumulation zone project. Our main challenge was the tight timeframe of only five weeks,” Strydom explains. The ECDriveS drive system has extensive built-in functionality. It has 40 W continuous power and up to 100 W dynamic power, optimised for the typical power ranges of roller conveyors used in light-duty materials-handling technology. The name is an acronym for Electronically Commutated Drive System, which refers to the brushless DC gearmotor. “It is a simple and cost-efficient drive solution for roller-conveyor applications,” Strydom points out. Sensor input and output is provided for easy monitoring, with an alarm triggered in the event of any problem. The drive system has an IP 54 protection rating, in addition to an IP 66 version for more demanding applications. 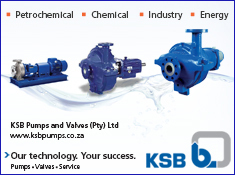 Their temperature range is from -10°C to 40°C, while roller speeds of up to 5.0 m/s are attainable. Gearbox speeds range from 8.5 rpm to 645 rpm for added flexibility. Set-up is either by dual in-line package (DIP) switches, or the drive system can be programmed using proprietary SEW software. Despite its simplicity, the drive system even boasts a built-in encoder for accurate positioning of items whenever the conveyor is stopped, making it ideal for sorting applications. It is also highly compact, with roller lengths from 300 mm to 1 200 mm. “We have been very successful in the automotive industry to date, where major expansion projects indicate a growth trend until at least 2023,” Strydom reveals. SEW has even adapted its ECDriveS technology for another major automotive manufacturer, which has also standardised on SEW products at all of its South African manufacturing facilities. 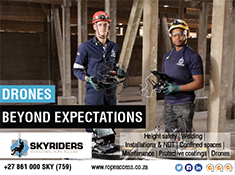 “What we have developed is essentially roller conveyor systems to convey tyres to the facility’s assembly bay,” Strydom elaborates. “Another product being used increasingly in conjunction with the ECDriveS drive system is SEW’s Automated Guided Vehicle (AGV) system,” he highlights. The complete solution includes the individual vehicles, energy supply, WLAN communication, and navigation and vehicle coordination. The MOVITRANS® line cable laid in the floor enables contactless energy transfer, which means it is wear-free and low-maintenance. “We are very fortunate in that the automotive industry is in a major growth phase at present, which means a lot of manufacturing facilities are either being refurbished or updated with the latest technology. This ties in well with SEW’s own research and development drive, as we believe that innovation is essential to retain our market-leading position,” Strydom concludes.